Anyone that knows me in person, and anyone who happened to be within a 50 foot radius of me at the gym last night, will be aware that I hit a recovery milestone: my first 10k since I was injured. No, it wasn’t fast, and yes, it was on a treadmill, but it happened, and my knee didn’t crap out on me. The fact that a 10k is no longer a distant hope is, for me, akin to being solicited by Leonardo DiCaprio (dressed as a dapper Jay Gatsby, and having recently decided he no longer gets a thrill out of banging Victoria’s Secret models), and being whisked away to live out the remainder of our days on a tropical island with people serving us cold beer and grilled halloumi every day. Sorry Ian. That 9 mile week last week? Two runs. One of them was even outdoors, like a normal person. 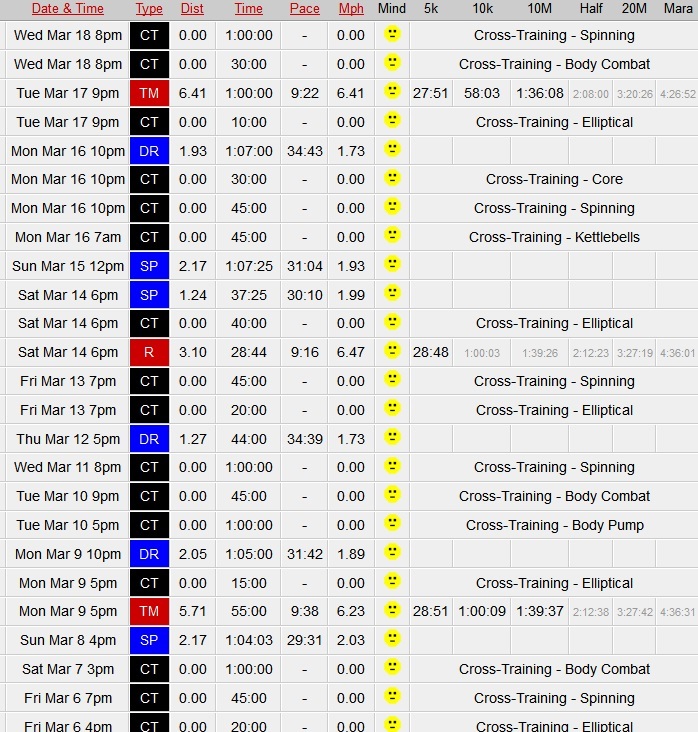 I can also peruse my training log, specifying a time frame if I like – so that’s neat. Here’s most of March. Blue is swimming, red is running, black is cross training. What perhaps appeals to me the most, however, is the fact that you can compare yourself to everyone else who logs their training on the site by checking out where you stand in the ‘League’. Obviously, I am opting to show you the swim league since my lack of running has me placed embarrassingly far behind. And yes, that is 63+ miles I have done of swimming in a pool. Thankfully that isn’t the case, so I’ll just keep plugging away at training and see how I go. To everyone I ever eye-rolled when they mentioned online how ITB syndrome was stopping them from running, I apologize. I am now a believer. strava is somuch better if you want to get nerdy about training. I also use both Fetcheveryone and Strava. 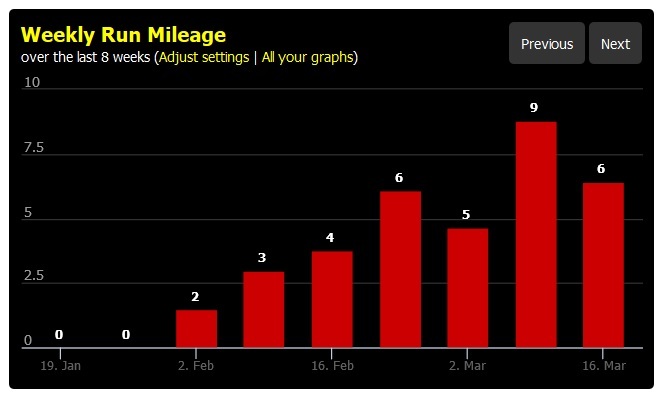 I’ve got them set to automatically pull my runs/cycles from Garmin Connect which is really cool, then I can geek out over all sorts of different graphs and things! Thanks for the shout-out. But more importantly, glad to see the progress! There’s nothing more frustrating (and demoralizing) than running in constant fear that the next step will herald that telltale sign that you’re not back where you want to be. Three cheers for a successful 10k! That is awesome, glad to hear it 🙂 You have been doing so much cross training too, I hope you find that you haven’t lost much fitness running wise once you get back in to training. Thanks – and I’m glad to have not been the only person going through a lame slog of boring recovery stretching and very limited running. 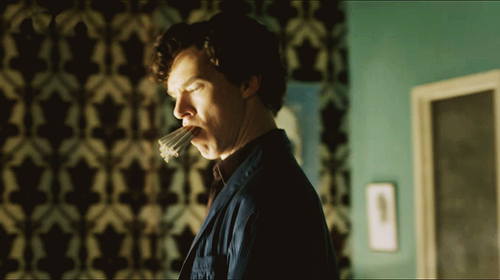 Glad in a ‘misery loves company’ way, not a mean way. 😉 I’m also pleased to see you’re relationship with running is back on track, because I’ve got to admit, and I’m sure you’ll agree, an affair with swimming leaves one quite unsatisfied. another +1 for strava here. it’s geek-heaven and you can virtually stalk famous athletes too! *waves at steve way* oh and well done on getting back to a 10k and even running outside like a norm and not on a treadmill like a hamster. summer’s coming too so all is good in the world. Great stuff MS, though you’ll know that running progress isn’t necessarily linear. Expect setbacks, hopefully only of a minor nature. I’ve given up on the geeky tracking of every movement I make. However I’ve re-joined a 1000 mile challenge table for 2015 which is keeping me honest. My friend is dealing with ITB syndrome too, her longest run before pain is 7km. I dealt with it when I first got into running and had to stop for the pain to go away. Once I resumed, I built up mileage veeeeerrrrrry conservatively. That was 5 years ago. To this day, I will ere more on the side of caution when it comes to pushing distance.